LEARN MORE ABOUT KATIE AND HER MULTI-MEDIA PRESENTATION THAT AIMS TO BREAKDOWN THE "SKINNY" BEAUTY IDEAL. Katie H. Willcox is the founder and CEO of Natural Model Management and Healthy is the New Skinny. Using her 15 years of experience in the modeling industry as a curve model, Willcox strives to change the game of self love by approaching the topic of body image from an intellectual viewpoint vs. an irrational and emotional one. Through an engaging one-hour multimedia presentation that covers a brief history of media advertising, the distortion of health and the “skinny beauty ideal” in the media, and how the beauty industry exploits our emotions to sell products, Katie invites event attendees to dive deeper into this topic and search for answers to their body image issues that are preventing them from becoming the healthy happy people they were born to be. Have you read healthy is the new skinny the book? Find out why this book has 5 stars on amazon! 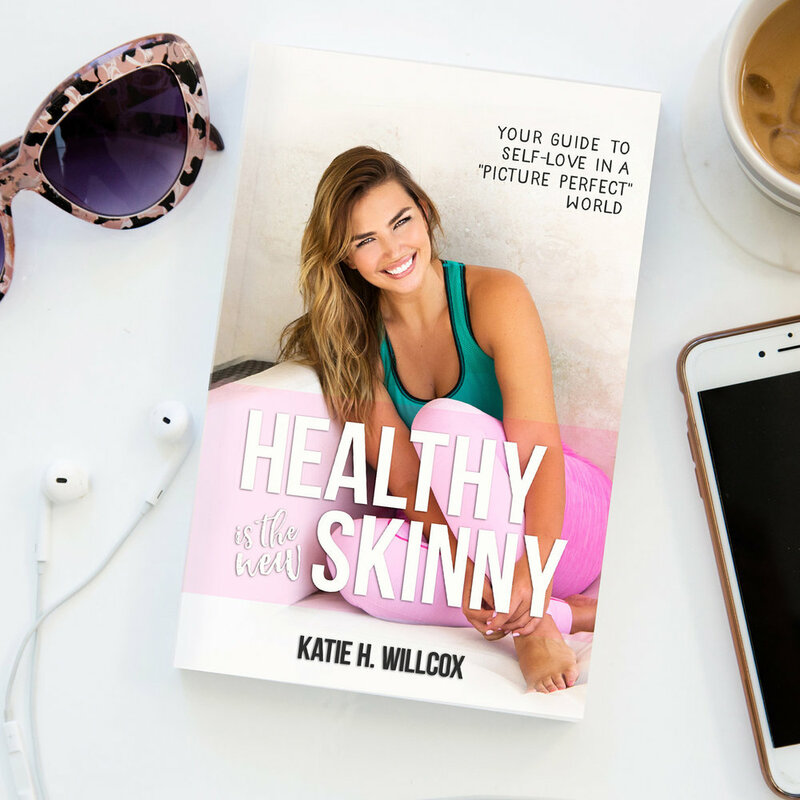 Making her debut as an author, Katie offers a breakthrough approach to healthy body image by exposing the harmful media messaging set in place by the fashion and beauty industries. Katie shares personal stories and experiences as a "plus size" model, girl boss, and overall flawed human being in a perfection-obsessed society. She explains how we can redefine beauty, make healthy the new “skinny,” and harness the power of our thoughts to choose self-love. Katie encourages us to discover our true magnificent selves, find our purpose, and pursue our dreams—and help others to do the same. Get your copy of Healthy is the New Skinny, and begin your transformation with the body you have right now. Do you want to meet Katie or hear her inspiring lectures on health, body image, and media manipulation?Click here to see where she will be next! Katie is a busy mom on the go! She travels the country for events, festivals, and workshops, to share the message, " healthy is the new skinny". Katie recently hosted the first ever, Escape with Shape at Miraval Resort and Spa getaway, as well as leading intmate workshops at Wanderlust Festivals around the country. Katie was a presenter at the Girl Scouts National Conference and continues to bring the message of Healthy is the new Skinny to local community events. If you follow Katie on Instagram and was to meet her in real life, click here for an event near you!